Draft: 2014, Los Angeles Angels, 22nd rd. Adam Glenn McCreery…attended Arizona State University from 2012-2013, where he went 4-4 with a 5.85 ERA in two seasons for the Sun Devils…transferred to Azusa Pacific University for the 2014 season, going 5-3 with a 3.90 ERA (29 ER/67.0 IP) and 72 strikeouts…originally drafted by the Minnesota Twins in the 14th round (448th overall) of the 2011 First-Year Player Draft out of Bonita High School (CA), but did not sign…selected by the Los Angeles Angels in the 22nd round (659th overall) of the 2014 First-Year Player Draft. Split the season between Double-A Mississippi and Triple-A Gwinnett, recording a 2-5 record and a 3.62 ERA with two saves in 42 games ... Made 34 appearances with the M-Braves, striking out 61 batters in 47.0 innings…led the team in strikeouts per 9.0 innings (11.7) and games finished (20) ... Was promoted to Triple-A Gwinnett August 5, made one appearance (0 ER/1.0 IP), before being recalled by Atlanta on August 7 ... Made his Major League debut and only Big League appearance on August 9 against Washington, firing one inning and allowing two runs ... Finished the season with Gwinnett, posting a 2.35 ERA (2 ER/7.2 IP) with 10 strikeouts and an opponent's batting average of .120 ... Went 2-0 with a 3.38 ERA (3 ER/8.0 IP) in seven games for the Peoria Javelinas in the Arizona Fall League… tied for the team lead in wins ... Traded to the Dodgers for cash considerations on November 28. Split the season between Single-A Rome and Single-A Florida, compiling a 2.74 ERA (19 ER/62.1 IP) with 90 strikeouts in 38 combined games of relief between the two stops...Hi 13.0 K/9 rate led all Atlanta minor leaguers with at least 50.0 innings pitched... Began the year in Rome's bullpen and struck out 47 in 31.2 innings...Allowed seven runs, four earned, in 0.1 innings on 5/12 vs. Hagerstown…Over his next and final 10 games with the R-Braves allowed two total earned runs (1.00 ERA/18.0 IP)...Made his Florida debut on 6/25…Fanned multiple batters in 13 of his 18 games...Got more than three outs in 24 of his 38 combined games between Rome and Florida...Limited lefties to a .183 (15-for-82) average with three extra-base hits. ..Added to the 40-man roster on 11/20/17. Spent the season with both the Rookie-level Danville Braves and Single-A Rome Braves, pitching to a combined 2-3 record and 4.19 ERA in 22 relief appearances ... Started his Braves career with Danville, where he went 2-0 with a 3.86 ERA (8 ER/ 18.2 IP) and 19 strikeouts ... Traded by the Los Angeles Angels for right-hander Jhoulys Chacin on May 11. Made 16 appearances for Rookie-level AZL Angels, posting a 2.41 ERA (5 ER/18.2 IP) with 28 strikeouts ... Led the team and finished tied for third in the AZL with 13.5 strikeouts per 9.0 innings. Made his professional debut with the AZL Angels, going 1-1 with a 4.58 ERA in 19.2 innings pitched ... Earned his first professional win on June 25, going 2.0 innings against the AZL Giants ... Drafted by the Los Angeles Angels in the 22nd round of the First-Year Player Draft out of Azusa Pacific University. April 2, 2019 LHP Adam McCreery assigned to Tulsa Drillers from Oklahoma City Dodgers. March 7, 2019 Los Angeles Dodgers optioned LHP Adam McCreery to Oklahoma City Dodgers. November 28, 2018 Atlanta Braves traded LHP Adam McCreery to Los Angeles Dodgers for cash. November 26, 2018 Atlanta Braves designated LHP Adam McCreery for assignment. October 1, 2018 Atlanta Braves recalled LHP Adam McCreery from Gwinnett Stripers. September 12, 2018 LHP Adam McCreery assigned to Peoria Javelinas. August 10, 2018 Atlanta Braves optioned LHP Adam McCreery to Gwinnett Stripers. August 7, 2018 Atlanta Braves recalled Adam McCreery from Gwinnett Stripers. August 5, 2018 LHP Adam McCreery assigned to Gwinnett Stripers from Mississippi Braves. March 9, 2018 Atlanta Braves optioned LHP Adam McCreery to Mississippi Braves. November 20, 2017 Atlanta Braves selected the contract of Adam McCreery from Florida Fire Frogs. June 23, 2017 LHP Adam McCreery assigned to Florida Fire Frogs from Rome Braves. May 22, 2017 LHP Adam McCreery assigned to Rome Braves from Danville Braves. May 20, 2017 LHP Adam McCreery assigned to Danville Braves from Rome Braves. April 4, 2017 LHP Adam McCreery assigned to Rome Braves from Danville Braves. August 6, 2016 LHP Adam McCreery assigned to Danville Braves from Rome Braves. August 3, 2016 LHP Adam McCreery assigned to Rome Braves from Danville Braves. July 18, 2016 LHP Adam McCreery assigned to Rome Braves. July 9, 2016 LHP Adam McCreery assigned to Danville Braves from Rome Braves. June 9, 2016 LHP Adam McCreery assigned to Rome Braves from Danville Braves. June 6, 2016 LHP Adam McCreery assigned to Danville Braves from Rome Braves. May 27, 2016 LHP Adam McCreery assigned to Rome Braves from Danville Braves. May 12, 2016 LHP Adam McCreery assigned to Danville Braves. June 20, 2014 LHP Adam McCreery assigned to AZL Angels. 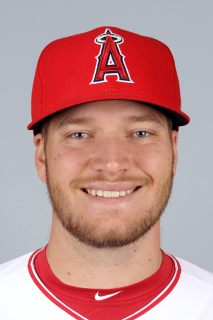 June 19, 2014 Los Angeles Angels signed Adam McCreery.